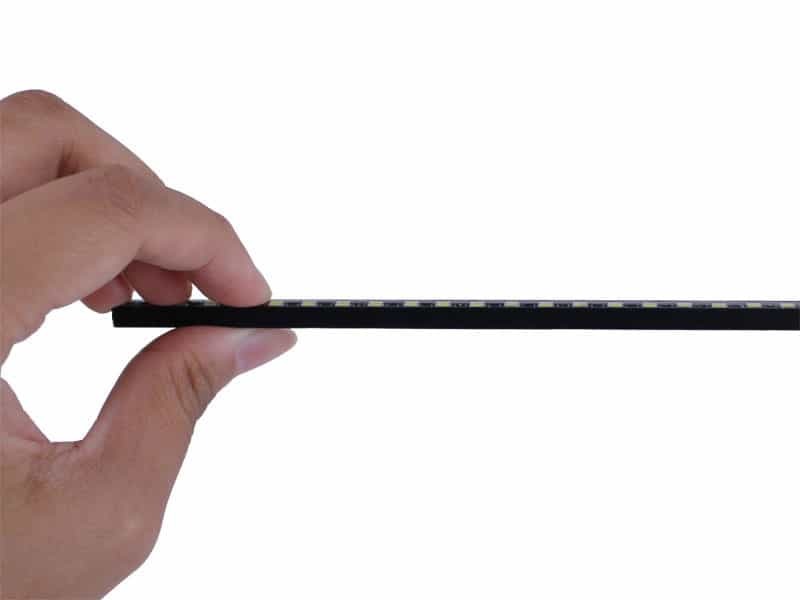 Thinner than your finger and full of LEDs in this 7.5 inch long strip. 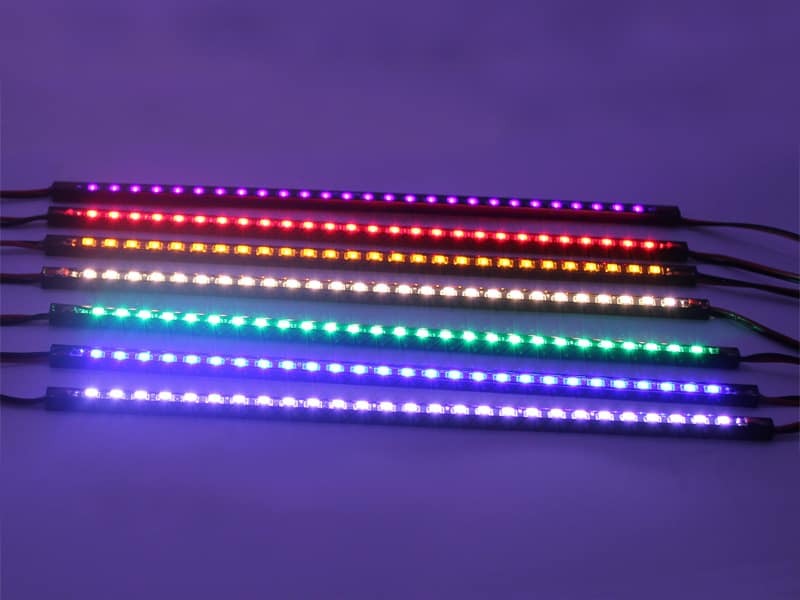 A total of 27 x 3020 size LEDs fully occupy the entire strip. It's thin but extremely bright! 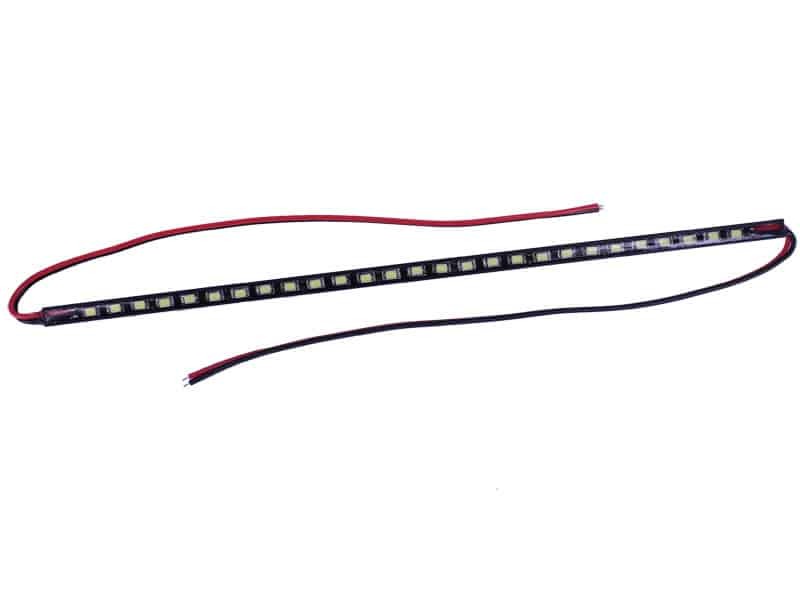 This LED light bar has wires coming out of both ends, so you can easily daisy-chain multiple lights together. Or if you just want to use one, you can leave the power wires on the other end hanging, or snip them off. We made the strip ourselves, from the raw materials sourcing to final QC checking. Quality is guaranteed. Especially with the rigid aluminum housing. Its no exaggeration to say: super durable! This strip is designed to be 100% submersible: a hard epoxy glue covers and seals the entire circuit board. 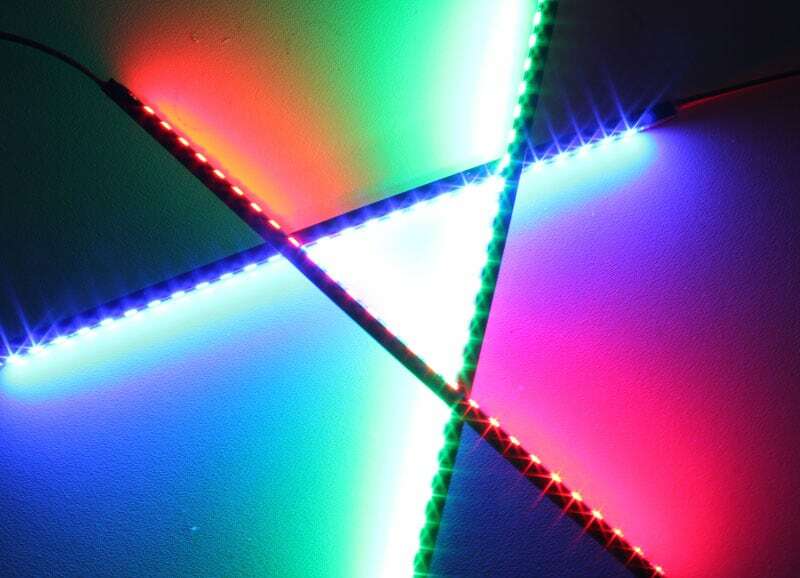 Cuttable between every 3 leds. 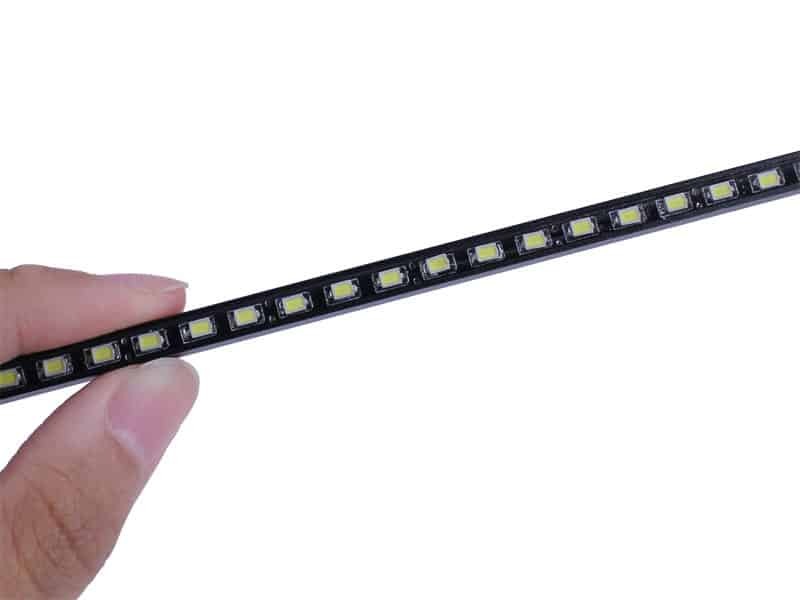 If you enter a quantity of "1", you will receive "1" LED bar. 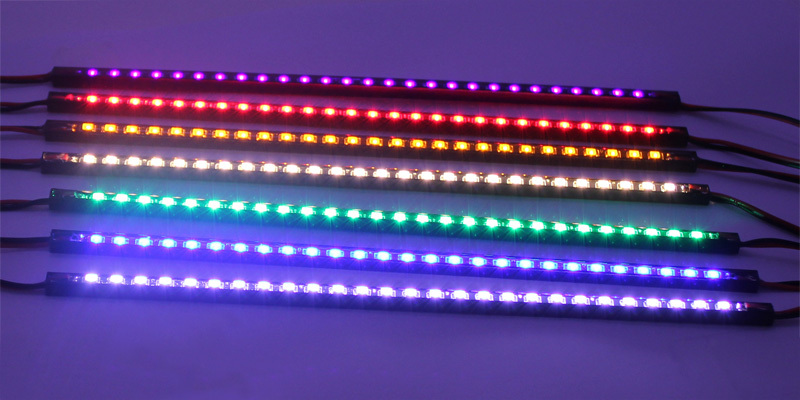 If you'd like "2" LED bars, please enter a quantity of "2". I purchased 5 of these units to be used in an experimental aircraft I'm building. The aluminum channel makes these really sturdy and the wiring on both ends of the light really helps to run them in series. These will be a nice addition to my aircraft. 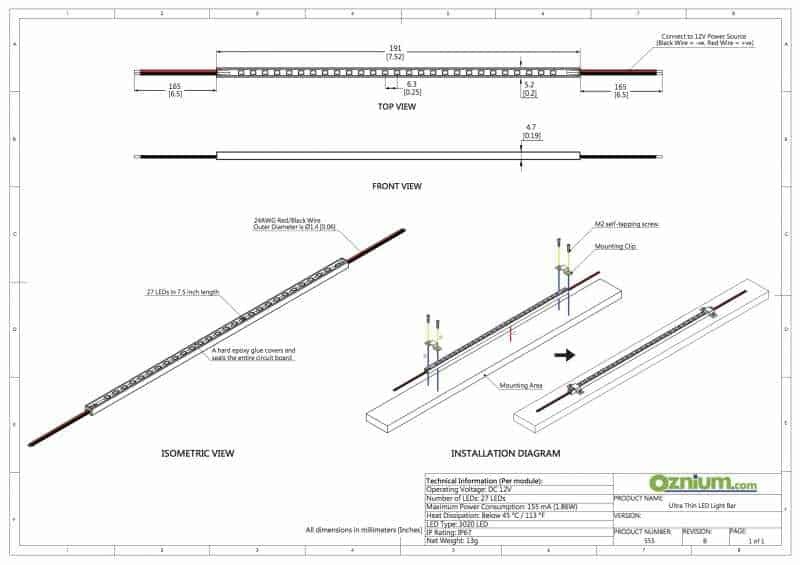 I'm attaching to a dimmer circuit and will have these light bars flood lighting the foot wells and baggage compartment. I'm picky and not just anything goes into this aircraft. No hesitation using this product. it got my Jag legal again! My vehicle was fitted with custom blue flexible LEDs seven years ago. The strip on the passenger side was failing so I decided to try the Ultra Thin Light Bar as a replacement. The bar is about 1 inch shorter than the old one. Installed it with Velcro in 5 mins. 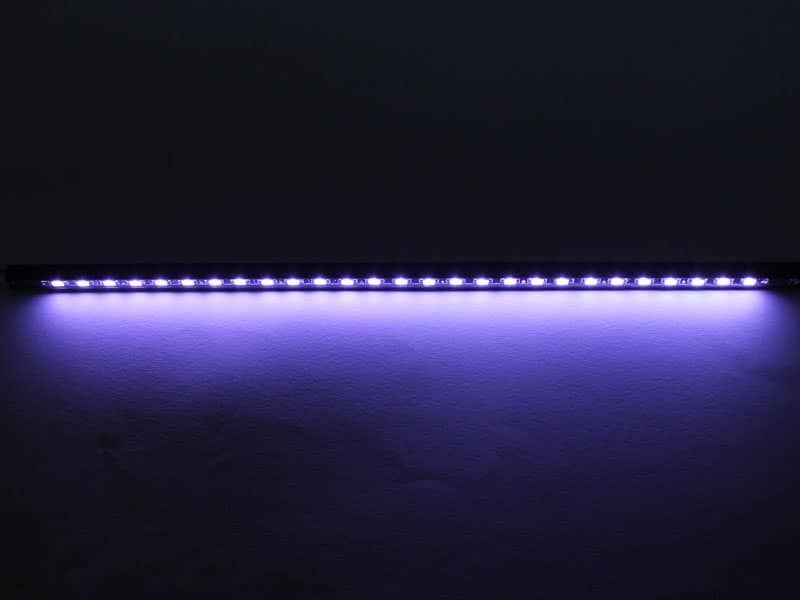 Now I have a new problem..........Ultra Thin LED bar burns brighter than the old flexible strip did! 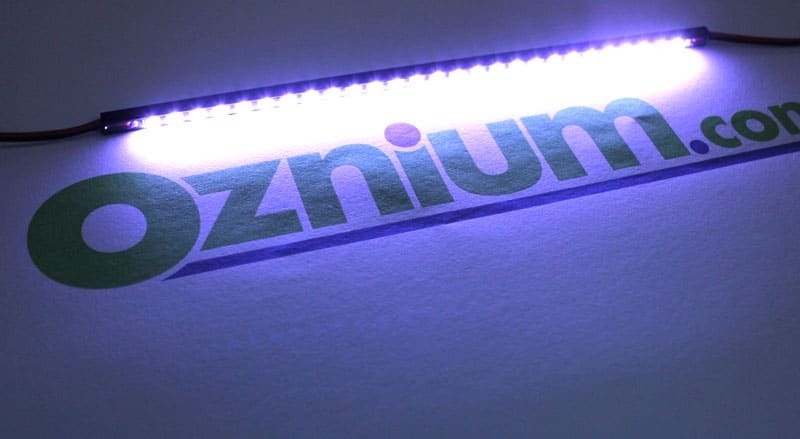 I purchased Piranha bars from Oznium for under cabinet light strips in our kitchen 8 years ago. Sure wish these Ultra Thin models had been available back then. They make the Piranha bars look like military tanks! Because I had temp. 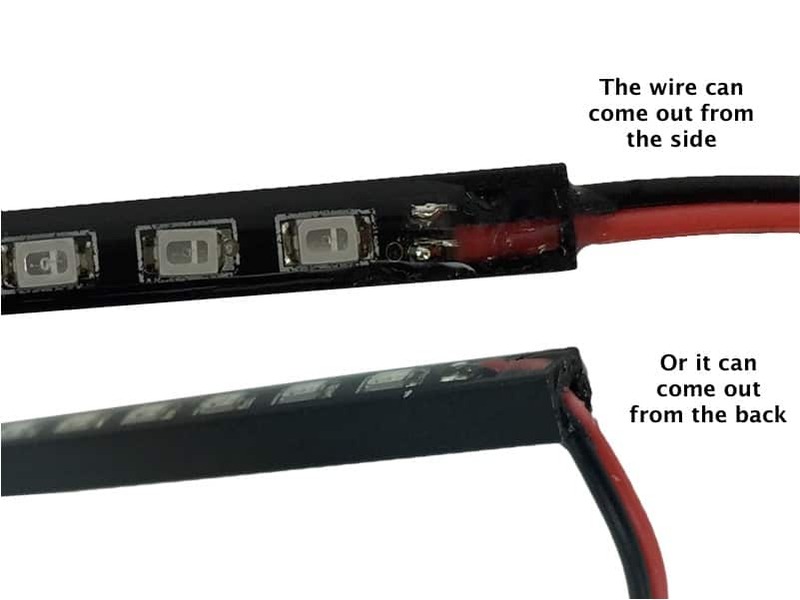 failure issues with Amber only straight Modules, I first purchased 2 amber thin bars to cut into 4 shorter lights to use as separate running & turn signal front lights on the motorcycle fairing side edges instead. I first tested the thin bars at both -20 & +120 degrees F with no failures both before & after being cut. I also submersed them in water & snow without any failures also. To obtain a clean look I used 3M trim molding tape to mount the thin bar strips instead of the supplied hardware. I later purchased an amber & red thin bars to resolve a back voltage issue I had with 1157 bayonet LED bulbs in turn signals & brake/Taillight. In normal vehicle applications this is not an issue but on my motorcycle where separate 2 wire LED turn, Brake & running lights are used by tapping off the wires from stop, turn & light switches It was a very noticeable problem. Turning on running lights would activate separate LED Brake lights & activating turn signal would cause flickering in non turn bulbs. 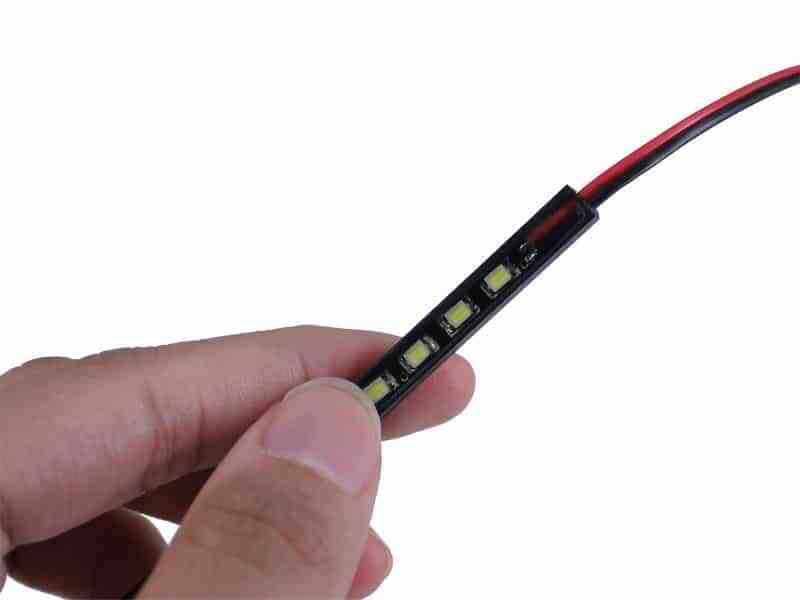 I did not have this issue when normal Filament 1157 bulbs were used, only the LED replacements. So I kept the Brake/Taillight bulb non LED and cut the red thin bar into two & mounted on either side of the License Plate bracket as extra brake lights. 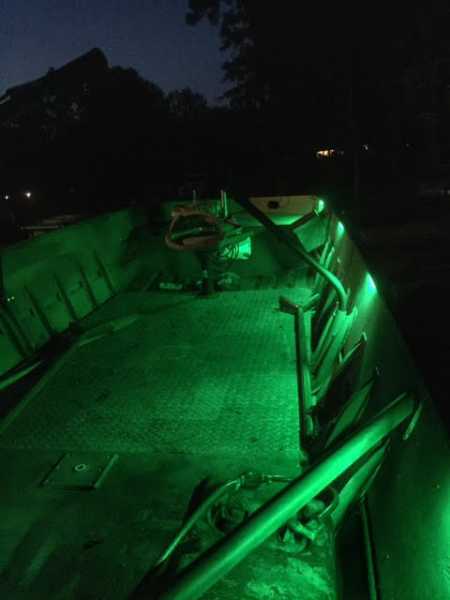 I disconnected running light wire from bulb contact in front turn signals & connected to cut amber thin bar mounted under bottom leading edge if housing for my running lights with 1157 LED bulbs only one contact bright mode for turning. Again I used 3M tape for clean look. I plan on adding White Thin Bars on the older classic car as daytime running lights as they are small & non visible until turned on. 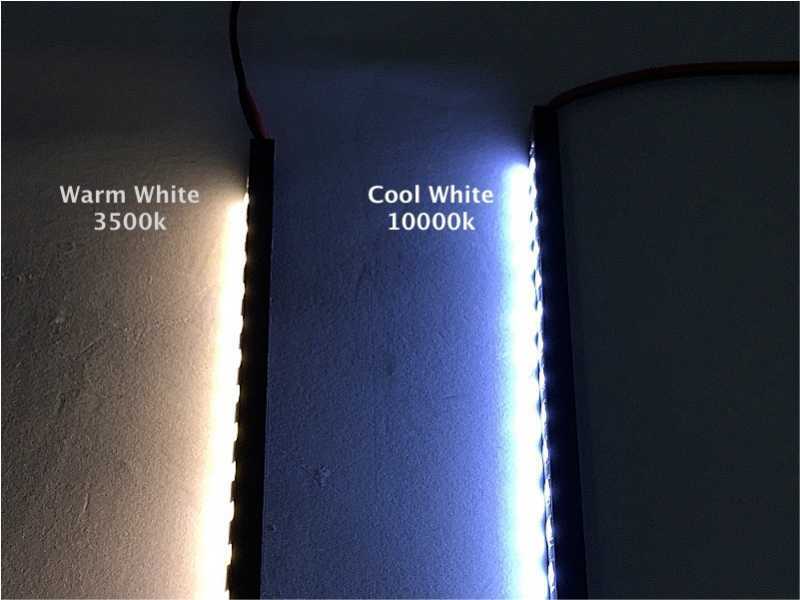 Also in time use Cool White in the house to replace CFL thin lights under kitchen passthrough & In wall office desk. Logical choice since I can go off grid with batteries charged be solar. 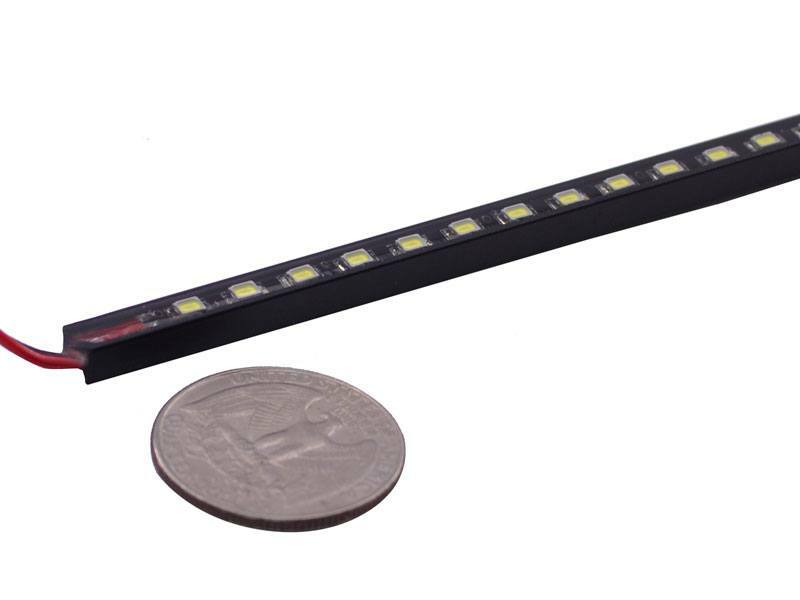 Your Thin LED Light Bars are rugged, durable, easy to mount out of sight but put out a very bright light comparable to CFL & Halogen bulbs. This is very durable! 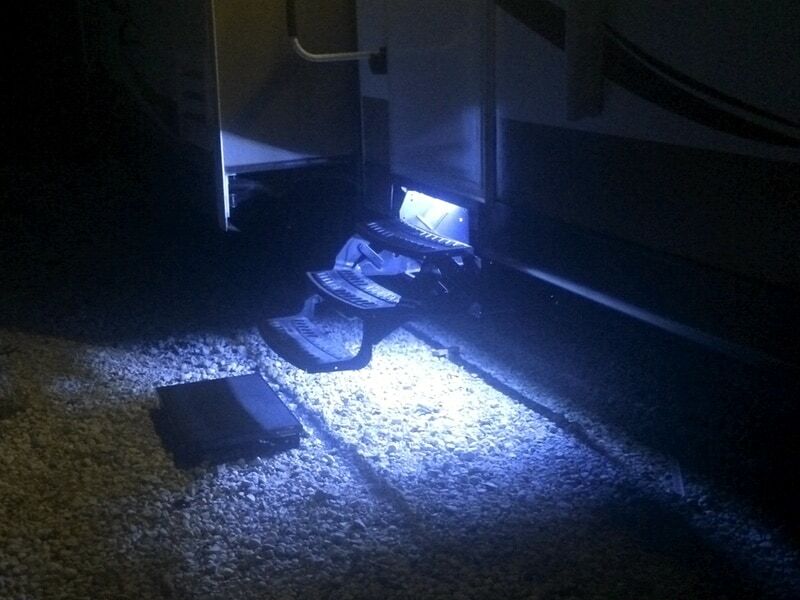 I installed 2 on my portable ice chanty and 2 for interior lights in a 01 Kenworth. Honestly, I would have given 5 stars if the wire was big enough to crimp instead of having to soldier. 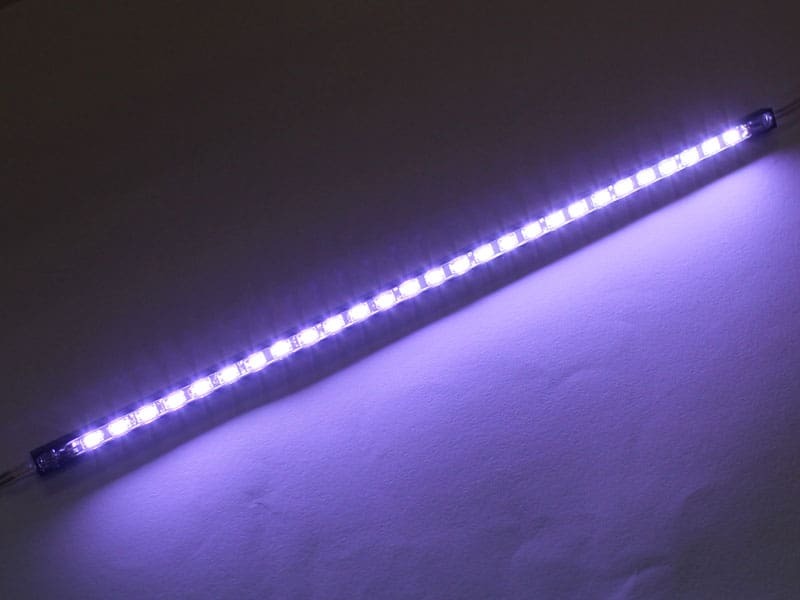 Very thin, sturdy and bright exactly as advertised! Like the ease of mounting with double-sided tap, perfect for the use I had planned for them, as under cabinet lighting. 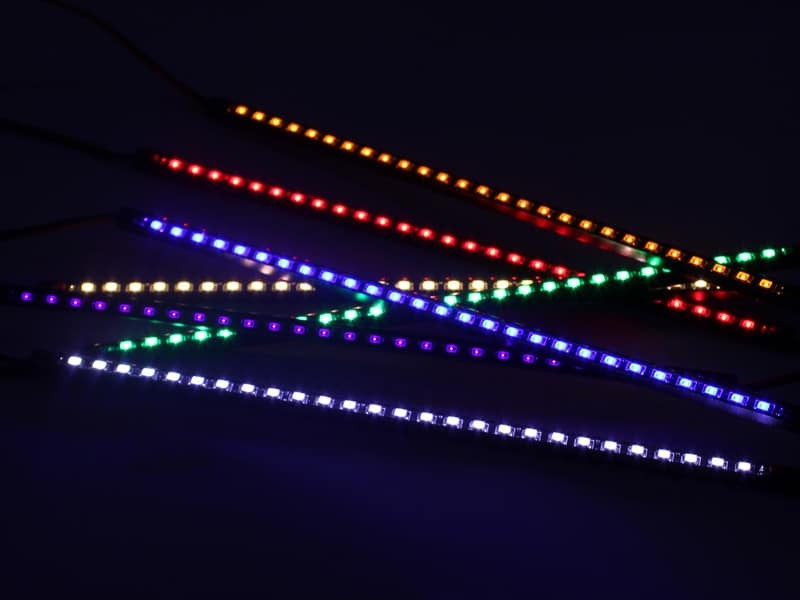 The ability to connect multiple lights in series is a great. man those little light bars are bright. Easier install with double sided tape. Made of metal! Very sturdy construction. I was shocked at the quality of the light output as well as the overall build. I probably skipped over it in the description but I was not expecting them to be made of metal! Very sturdy construction. I have only used the red, blue, green, and UV so far. The red and green are amazingly bright! The blue is very bright also but blue is a darker color of course. UV will always seem dimmer no matter what. The UV is still great for such a small package. The ability to connect multiple lights in series is a very nice option, though I have not actually used it in that fashion yet. (I am currently mid build of a few projects and one of them will be connected this way) I have not used these outside in the elements but judging by the build quality, I see no reason why you wouldn't be able to. I look forward to seeing how these hold up over the years. I could very easily see these lasting for a very long time!